Here's one more vintage postcard that I couldn't quite squeeze into the weekend's utterly arbitrary Modest Postcard Marathon. It's an attractive, hand-colored card that was mailed by "Clara" back in October of 1907. The label on the front simply states: "Stark Spring, Manchester, N.H." My best guess is that this is Stark Park, which was established in the 1890s in honor of American Revolutionary War hero John Stark (1728-1822). It was Stark who gave New Hampshire its famous motto, with his full quotation being "Live free or die: Death is not the worst of evils." Stark Park was, according to Wikipedia, "originally designed as a typical Victorian-era park, with winding lanes, and a mix of woodlands, lawns, and gardens." 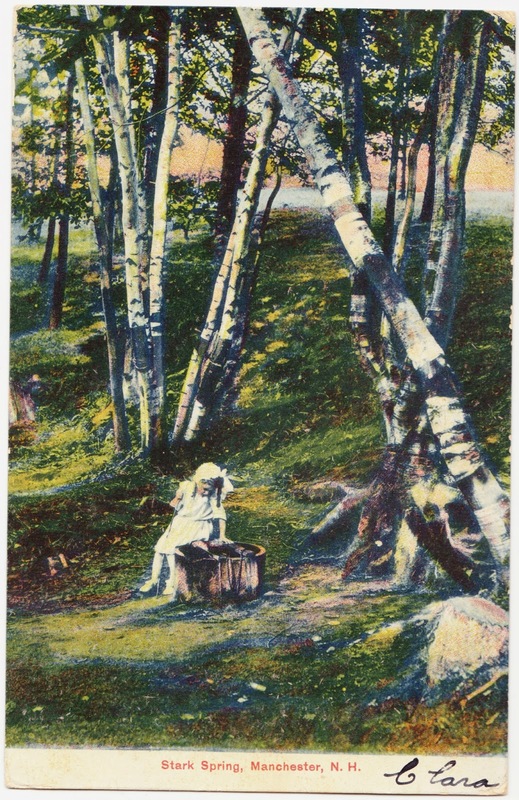 That certainly seems to be reflected by this postcard, which shows a woodsy, pastoral setting. 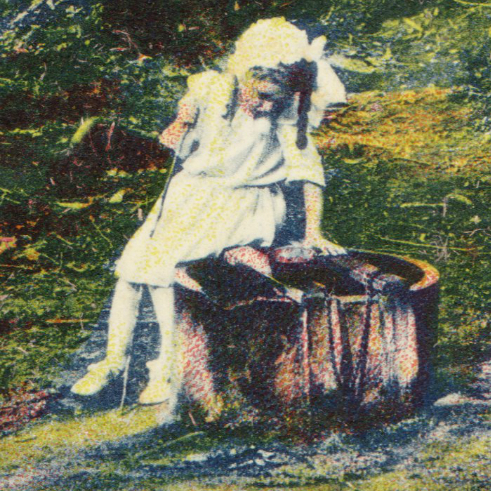 Here's a closer look at the young girl, sitting at what appears to be a well. There is no message on the card, other than the name Clara on the front. It was mailed to Miss Addie Allison in South Danville, New Hampshire. It was mailed with this one-cent Capt. 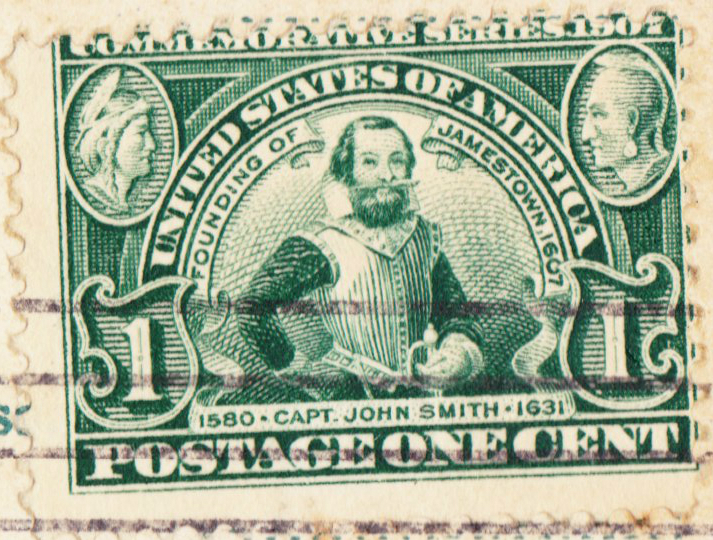 John Smith stamp, the second one I've come across. These Smith stamps are, according to Hobbizine, worth $40 in mint condition and $4 used (assuming good, well-centered condition).